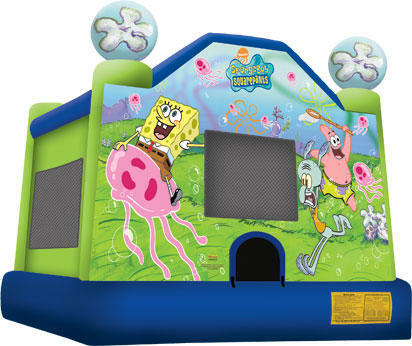 Sponge Bob Bounce House Rentals | Renting a Spongebob Bouncer | The Inflatable Fun Co.
OOOOOOOOOOOOHHHHHHH...... WHO LIVES IN A PINEAPPLE UNDER THE SEA??? This Brand new 13X13 jumper has full-color digital graphics of Spongebob, Squidward, Patrick and all of the Spongebob friends. This unit is a crowd pleaser for any event. Everybody loves Spongebob!